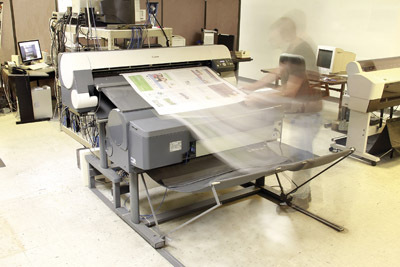 Web Offset Printing Company offers a complete electronic workflow to maximize speed and minimize problems. Our experienced staff will assist you with any questions you may have. Our advanced remote proofing software allows for electronic soft-proofing from any computer with internet access. We are dedicated to keeping your production flowing even when faced with questions or problems. Our knowledgeable staff is here to answer your questions 24 hours a day Monday through Friday. In order for the printing process to run smoothly, it helps if you know a little bit about how the whole process works. The following are the steps your printing job goes through before it goes to press.